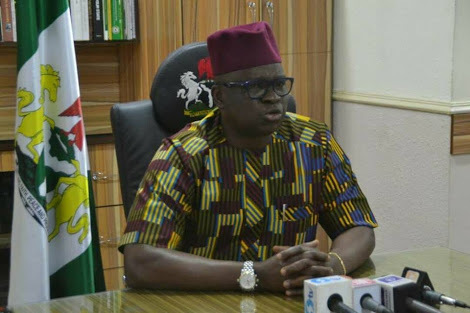  Home › Politics News › Fayose Remains In EFCC Cell After Judge Granted Him Bail..Reasons Emerged! Fayose Remains In EFCC Cell After Judge Granted Him Bail..Reasons Emerged! Justice Mojisola Olatoregun of the Federal High Court in Lagos, former Governor of Ekiti State, Ayodele Fayose is yet to regain his freedom from the custody of EFCC.